Housing the UN and global offices, Geneva has an international crowd of businessmen, diplomats, and wealthy old people. Visiting this city then without any business can be a backpacker’s nightmare. With the sky-high prices and less vibrant population, it is easy to run out of things to do in Geneva. However, for a limited amount of time, it could be worth a stopover being a gateway to Switzerland’s amazing natural sceneries. It would not hurt much spending a few bucks for fondues of famed Swiss chocolates, and probably watches and knives. There are also plenty of parks to spend lazy afternoons such as the Parc des Bastions hosting the historic Reformation Wall and the green expanse of the Parc de la Grange. 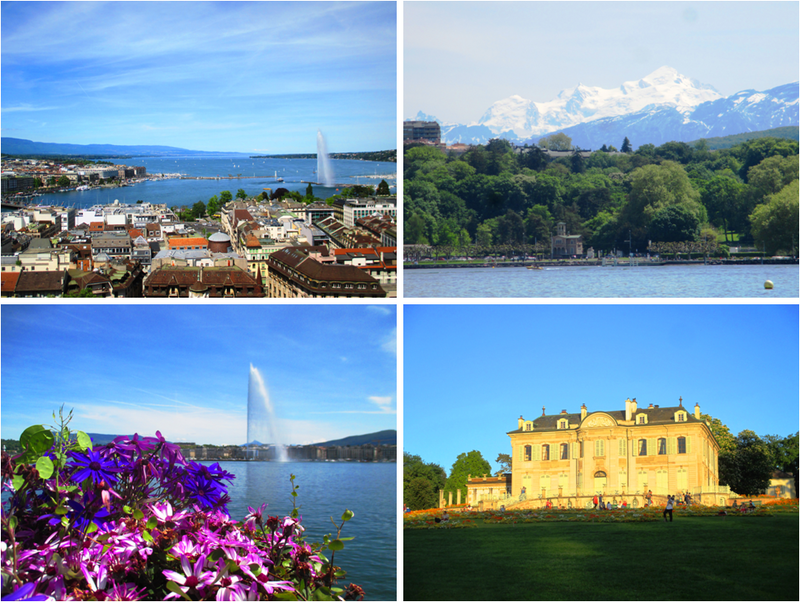 Some of the small parks dispersed around the banks of the lake also offer spectacular views of Lake Geneva which gets you up close with the famed Jet d’Eau, and watch Mont Blanc of the alps (the highest peak in continental Europe) from afar. There is also a bit of old city charm surrounding the Cathedral of St. Pierre. This church also allows you to enjoy the panoramic view of the entire city which is actually stunning. The characteristic brown roofs would truly remind you of the delectable swiss cholocates you are probably excited to munch on after the painstaking climb. The nearby small village of Carouge, accessible by metro, is also worth the visit. Looking more like a petite Italian town, Carouge is not a bad spot to enjoy a cup of gelato. And of course, there is the UN and its museums that make you feel you are in the center of the world, as well as the CERN for the science geeks. So depending on what your interests are, Geneva can have a little something for you. But really, after a day, you will be itching to escape. Not really because the city could go boring but more of the fact that it tempts you of tiny views of what is left out there in countryside Switzerland.